Spend a year meditating on the promises of God from the Word of God. In this simple yet profound devotional, readers are invited to explore a new Bible promise every day and to reflect on how Gods hand is evident if only we look for it. Starting today, pursue a closer relationship with the God who always keeps his promises. 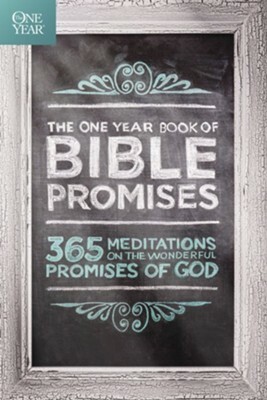 I'm the author/artist and I want to review The One Year Book of Bible Promises: 365 Meditations on the Wonderful Promises of God - eBook.